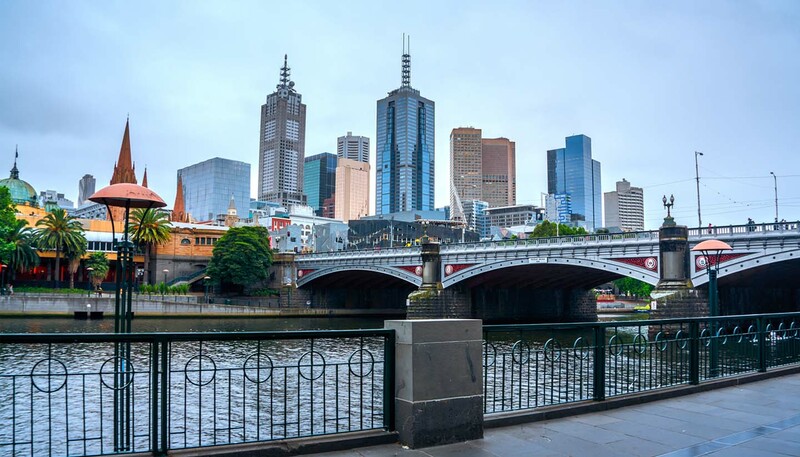 Arty, cosmopolitan and as comfortable sipping a latte as it is chugging a cold beer, Melbourne has strong claim to the status of Australia’s cultural capital. That it’s a bona fide world city is beyond doubt: its food scene is sensational, its sporting calendar rivals that of anywhere on the planet and its neighbourhoods range from the hip to the historical. Seaside trams trundle past red-brick buildings, modern architecture gleams over civic squares and alternative rock blares out of laneway bars - it’s a city with style. A diverse population has undoubtedly contributed to this vibrant international culture. Waves of immigration from European and Asian countries over the past 50 years have resulted in an eclectic and energetic blend of food, theatre, music, art and literature, as well as food, with Chinatown and the Italian inspired Lygon Street being great examples of the city’s diverse appeal. Regardless of where you are in town, however, you won’t have to search far for adherents of the city’s all-consuming sporting passion: Australian Rules Football, universally known as footy. The praise that now routinely gets heaped on Melbourne might rile Sydneysiders, but few would dispute the fact that the Victorian capital is a place apart. This is no new thing; the Immigration Museum, the Melbourne Museum and the State Library are great places to get a historical perspective of a city whose Aboriginal beginnings, Gold Rush-enhanced development and rapid expansion saw it become Australia’s political capital by 1901. Fast forward more than a century and the city has evolved into a global destination ripe for visitor exploration. Head out to trendy St Kilda for seafood restaurants and a walk along the pier. Wander bohemian Fitzroy for art galleries and specialist bookstores. Splash some cash at the designer shops of Toorak and South Yarra. Or stick to the centre, where attractions include Federation Square, Flinders Street Station and Old Melbourne Gaol. Melbourne often ranks high on the ‘most liveable cities in the world’ list, and for those visiting, it’s not hard to understand why.